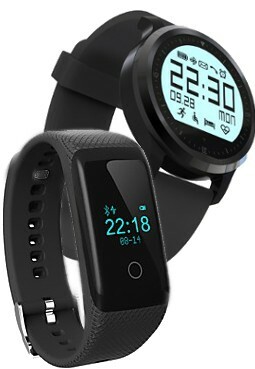 The Aoluguya S12 is one of the cheapest Smart Watches available with a heart rate sensor. 2. 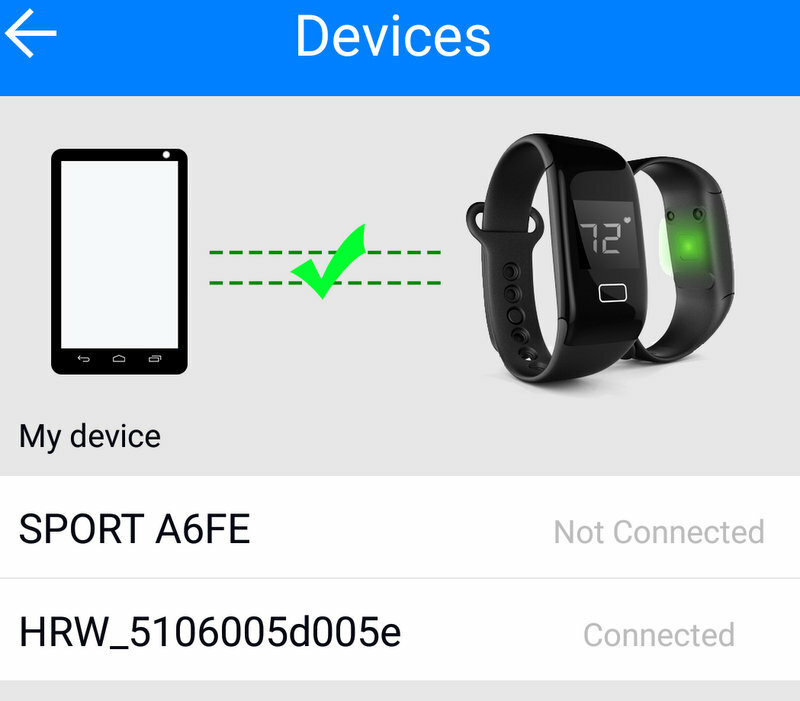 Bluetooth 4.0, allowing interaction with standard fitness equipment and apps supporting BLE/Bluetooth Smart. This watch is sold under several names and the best deal I found is from Geekbuying for 28€ as Makibes JW018. The next cheapest is an unbranded clone, the WK001 sold by dx.com for ~35€. 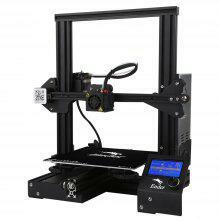 Then, in the rip-off category, we find the Aoluguya S12 0.66 (56€ @ DX and 69€ @GB). Expectations (upon reading reviews): I expect this watch to be of average quality, very badly waterproofed, but at least supporting the popular fitness apps as advertised, which would be a plus compared to the F68. There might not be a documentation in English which a complaint seen in users reviews. The box contains 3 things: the watch, the USB charger connector and a leaflet (in English! good point for Makibes). The first obvious thing to do is to pinch the watch with the charger and connect the USB to a power source. Charging can take up to 90 minutes during which you still can set up the watch. The leaflet contains the QR code to download the Keyband app. It is needed the first time to set up the JW018. It will detect the watch through the Devices section. Time and date will be set automatically and the watch is then ready to use. Straightforward, no hassle. Wearing the JW018 has been an even bigger challenge than with the F68. The wristband is terribly short, but I could at least snap it to the very last hole! The whole band is about 21.5cm measured from the last hole of the strap to the base of the tang. Once activate, the sensor starts to give a realistic reading after about 8 seconds. I have compared the JW018 HR sensor (HRW_ in the picture below) with a Medisana chest belt (similar to the Polar H7) for e few minutes and their readings were surprisingly similar. The watch compatibility with "Bluetooth Smart"/BLE means that it can be used with any standard fitness app and equipment. There's no interval monitoring, just off or continuous. It would have been nice to have an equivalent to the F68 "Healthy mode" (periodic interval readings) to spare the battery life over an all-day monitoring. A tap on the unique touch sensitive button will activate the display for about 15". The display rotates between the time and date, the HR, the footsteps, the calories and the sleep monitor. A 6" long button press on the clock display will allow to turn off the watch, and 1" press while on the HR, Step or Sleep will turn on the monitoring function. A double tap on the HR view will keep the display ON. 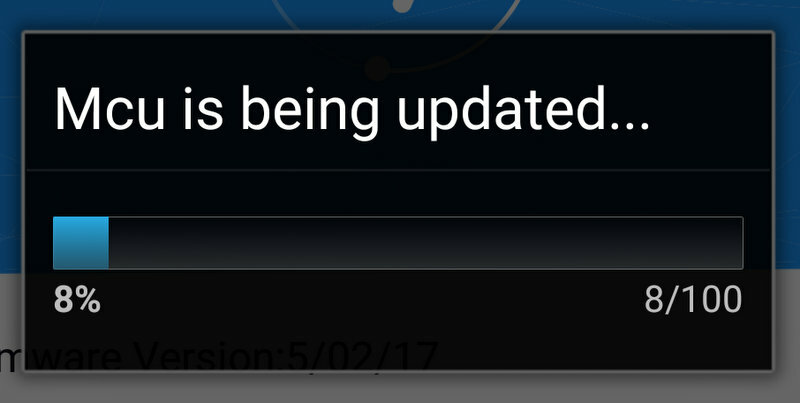 New feature: During my test, the JW018 has received 2 firmware updates (5.04.17 and 5.04.19). One visible change is that the display now activates on a rotation of the wrist. The display is clear and easy to read when indoor but is too dim to read in daylight. At least it has the advantage over the F68 to be readable at night. 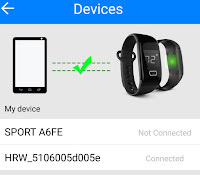 Keyband is an acceptable companion to collect the data from the JW018 but lacks the inter-connectivity with other fitness apps. A disastrous update was pushed during my tests but the version currently available seems okay now. 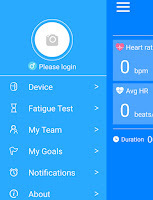 The app starts by registering the user either internally or on-line (which I didn't), giving age, height, weight which will be used for processing the various tests results. 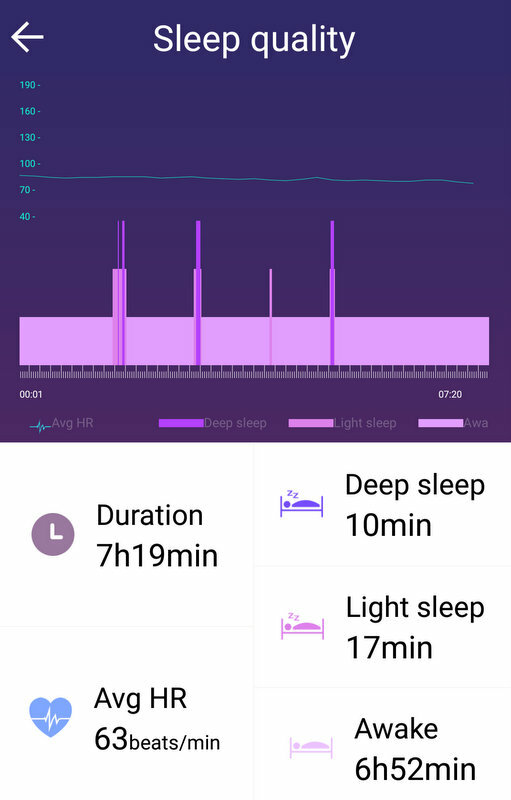 Sleep quality analysis: should I worry? The reports says that I'm awake almost all night. At least it gives a good HR reading but I'm not sure about the sleep quality algorithm itself. It is an interesting attempt though but several times I found that the watch did not record the night completely or at all. 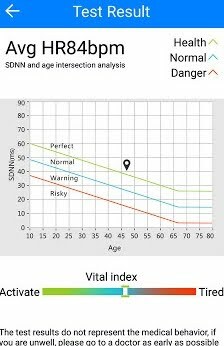 The app can do a Fatigue Tests which gives a health index based on the age and the SDNN. The test starts as soon as a HR is received from the watch, but, for best results, the HR function should be started a few seconds in advance as the first seconds are not accurate. I would not give too much attention to that test from the moment that 3 consecutive tests gave entirely different results, with the cursor sometimes outside the graph area. The watch can also vibrate on phone calls, SMS and custom notification. Also, as any fitness app, it is possible to track a given activity, rowing, cycling, running, and even "sit quietly". I prefer to use other apps for that, and that purpose, and that's the kind of freedom allowed by the BLE compatibility. The JW018 is detected by any popular fitness app. I tested Endomondo, Runtastic Pro and MapMyRun. At the gym, I could link it with a Concept2 rower that works with the 2.4gHz band. Others, like the Technogym treadmill would use the 5.3 kHz band, which is common with chest belts like Polar H7, but not this watch. 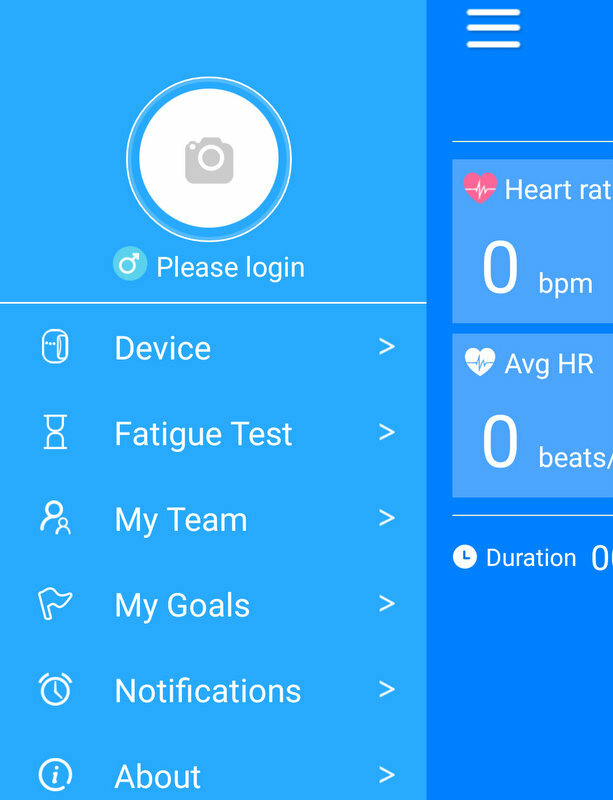 The product profile advertises 12 hours of continuous HR monitoring. The autonomy depends on how often the HR sensor and Bluetooth are used. On average, expect to recharge it every second day. The IP rating of this watch varies: Aoluguya S12 is advertised as IP67 and Makibes JW018 as IP65. This rating is the most realistic. Therefore the watch is not waterproof, just splash-proof. 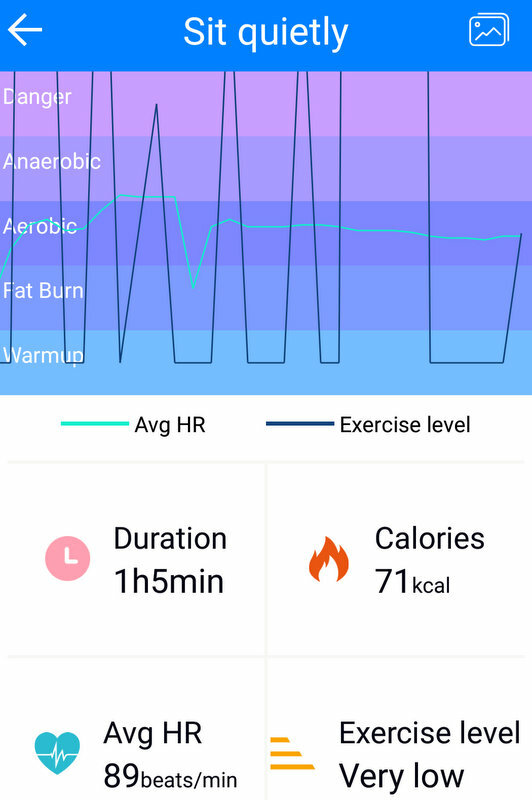 The JW018 does a better job being a sport band -that you would wear during indoor sport and fitness exercises (except swimming)- than the F68 trying (and failing) at being an all-day smart watch. Its strong points are the good HR sensor accuracy and its compatibility with BLE-supporting apps and equipment. I won't be wearing it all day but it is now in my gym bag as a valid and more comfortable option to the chest strap. They need to make a adult-sized band version! For 28€ from Geekbuying (JW018), it is better than I expected and preferable to the F68 reviewed earlier. Does the watch show whatsapp messages ?? or atleast sendername ?? 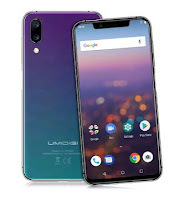 i am desperate to buy either of the two ,my main need , is to get proper notification and decent battery backup , what do u suggest ? I was using I5Plus now,it was amazing gadget. f69 also doesnt show the message senders name , it just shows an alert , i guess iwown7 mightbe good. During a running session does it store the whole heart rate recording for later upload to a smartphone? I've got the JW018 but am having a difficult time connecting it to my wife's S7. I'm getting a communication error. The phone fines the band NP problems but cannot pair with it. I've also tried it with my 6P and I get the same results. Any suggestions cause I think this could be a very cool band. I am having the same problem and I have an s7 too. how can i lock this jw018? I got it but i lost my manual so it's always unlocked every touch cause the start of the heart rate function? I don't have it with me right now but if my description above is accurate, a double tap on the HR view will keep the display ON. Every special action is done by either a double tab, or a long (1") press.